Very kind of you… Check your PM when you get time please. Has anyone tried the new flavors that would like to share any insight in regards to the how these flavors are stacking up to their counterparts of different brands? Also here’s our first crack at mixing with the new FlavourArt flavors! As always, have a safe and excellent weekend! Happy Mixing! This weekend’s sale is on FlavourArt! Save 30% on this popular brand and be sure to check out their latest flavors! Have an excellent weekend and Happy Mixing! Good Morning Mix Family! We are having a flash sale on unflavored nicotine bases today! Have a great day and as always Happy Mixing! Happy Friday fellow Mixers! This week, save 20% on all Flavor West at ecigExpress! Also we have the V2’s of New York Cheesecake and Cake Batter available, with the new Cap flavors on the way as well! Last but not least, if you like bakery or fruit profiles check out our Banana French Toast One shot! Have a great weekend and Happy Mixing folks! P.S. we tweeked an older recipe and are pretty pleased with the results. We have the new summer Capella Flavors up! Behold! Friday is upon us mixers! lol no but seriously, Happy Friday folks This weekend’s sale is on the popular brand FlavourArt! 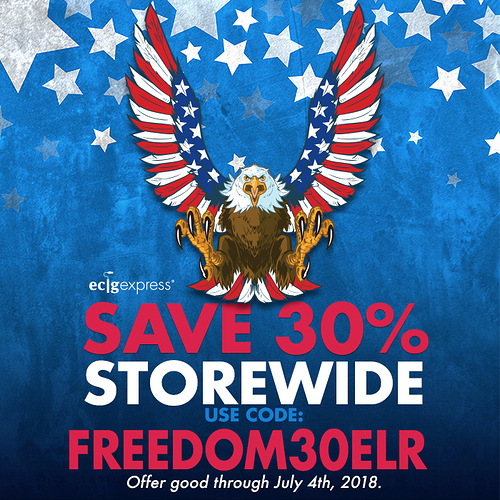 Save 30% with the code in the pic above. P.S. We made a Green Apple soda recipe we are pretty happy with! What is your favorite Fall Seasonal recipe profile? I’m chasing the elusive perfect Pumpkin Pie. I’m self-limited to PG-free concentrates, though, so I don’t have all of the options that most have. Going to get it this Fall! Which flavors do you use to get decent crust with non PG flavors? Sugar Cookie & Graham RFSC, Acetyl Pyrazine VG OOO, and I’m about to incorporate Danish Pastry NF in my next attempt. I don’t think I’ve ever really gotten a truly good crust, but it gives the impression adequately enough to get by. I’ll let you know if I find a great combo. Only been at this a little over a year, so i have a long way to go! Thats ok If you find the holy grail we would love to mix your findings lol! Well, consider it a challenge. I’ll have some results for you 4 weeks before Thanksgiving. I’m wide-open to suggestions if you have any. when we do our next pie recipe, I’ll see if i can dial a non PG crust and report back as well lol. Good Morning and Happy Friday Folks! This weekend’s sale is on TFA/Signature. Save 30% with the coupon code above. Have a great weekend and Happy Mixing everyone For those out in the summer heat, remember to hydrate lol!